My hairdresser asked me to paint two 8×8 inch paintings for her sister. 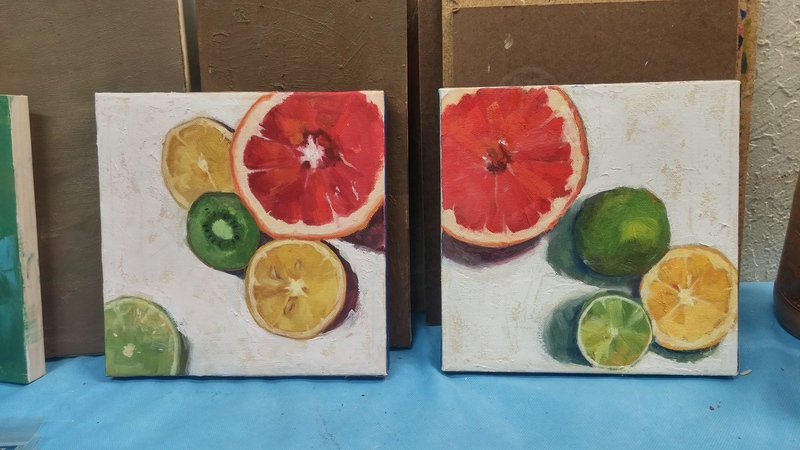 Fortunately I had done similar fruit paintings before. Sliced up some grapefruit, lemons and especially limes, since this is the color that had drawn her. Set them up and took photos. There’s a lot of playing around with design and balance, and color . . . almost abstract.